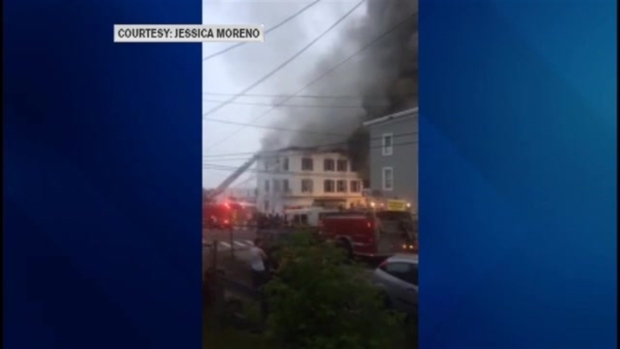 Two adults and two children were killed in a 4-alarm apartment building fire Monday morning in Manchester, New Hampshire. Investigators said they don't know how this fire started here, but have surveillance video from a nearby business that may give an idea. Two people died as they were pulled from the building and two others died at Elliot Hospital, according to Manchester Police. 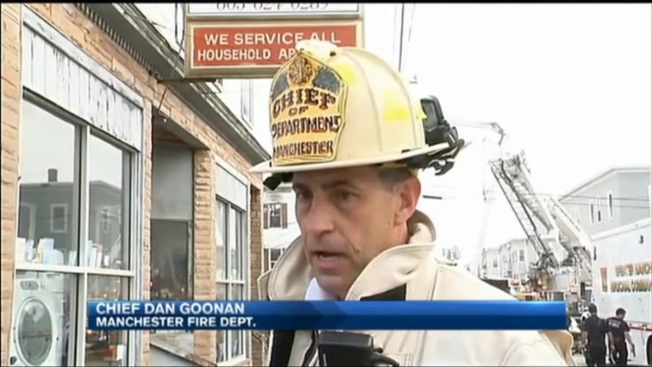 "It's certainly tragic," Manchester Fire Chief Dan Goonan said. "It's tragic for us, it's tragic for the families, it's tragic for the neighborhood and it's tragic for the city." 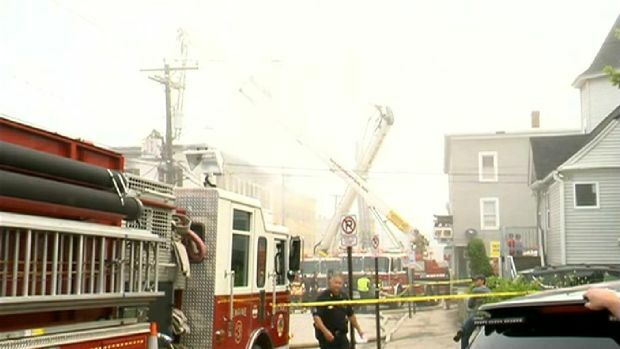 Officials in Manchester, New Hampshire, say two adults and two children were killed in a 4-alarm apartment building fire Monday morning. Thirty others were rescued from the building and the American Red Cross is now working to find them temporary housing. A neighboring apartment building at 210 Wilson St. was also temporarily evacuated during the early stages of the fire. Resident Rodolpho Paradas said, He told me 'let's go, the building is on fire.'" Two firefighters were injured, one minor, and one with a non-life-threatening leg injury suffered during the rescue operation. Chief Dan Goonan said, "We initially pulled out four people. Two were pronounced dead at the scene and two at the hospital." About 12 apartments were inside the building. Seven were occupied. Fire officials said the top two floors were destroyed. The total damage is estimated at about $750,000. District Chief Michael Gamache arrived at the scene within three minutes of the initial call. He said the house was "fully involved," with heavy fire conditions and thick, black smoke. People were in the street telling firefighters that there were residents trapped inside, he said. Officials in Manchester, New Hampshire, say four people have been killed in a five-alarm house fire Monday morning. Firefighters entered and removed two victims from the second floor but were forced out by the flames. "The fire was progressing so quickly we had to retreat," Gamache said. They were eventually able to reenter the building and found the other two victims inside. The cause of the fire remains under investigation. Fire officials said the investigation is centering around the back porch of the building. Goonan said he did hear smoke alarms sounding inside the building. Derry and Nashua firefighters assisted at the scene. Other surrounding towns provided station coverage for Manchester. The Bureau of Alcohol Fire Tobacco and Explosives is helping investigators. While investigators believe the fire started on the back side of the property, it's unclear when they will know how it sparked, because of the damage. “At this time the investigation is ongoing and its very early in the investigation," said state fire marshall William Degnan. 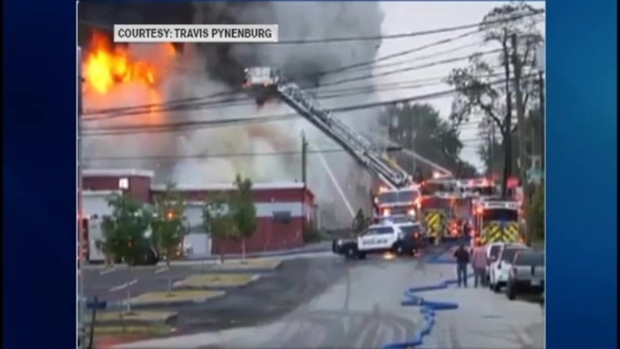 Officials in Manchester, New Hampshire, say four people have been killed in a five-alarm apartment building fire Monday morning. Manchester Fire is still on the scene at 197 Wilson St. The fire has been knocked down and crews are monitoring hot spots. Autopsies are scheduled to be conducted on Tuesday morning, and the names of the victims are expected to be released at that time.